Niantic has released a new trailer for Pokemon GO, in which, among other things, the upcoming Legendary Raid Bosses are presented. The scenes make you want more, check out the video with the new summer features here! 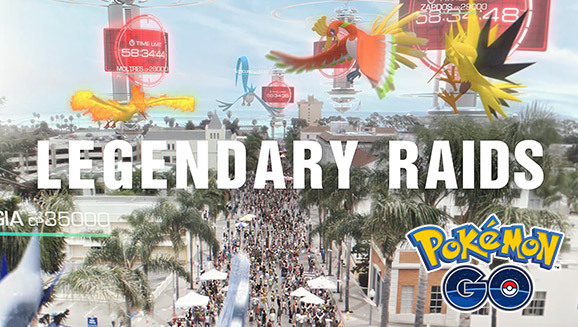 That Legendary Raid Boss will come in Pokemon GO is not a novelty, just recently we told you that Niantic is currently testing the new Pokemon GO feature. However, it was unclear when these were to be implemented. The exact date we still do not know, but Niantic has now published at least a trailer, in which the new features of the summer are presented - including the Legendary Raid Boss. You will not have to wait a long time! The almost three minutes of life you should definitely invest for the following video: the trailer is nicely made, spreads a good mood and shows how trainers compete against Legendary Pokemon like Lugia. On the weekend, the first Legendary Pokemon will be showing up during the GO festival in Chicago, you can follow the event on Twitch in the live stream. Further news about Niantics mobile app can be found on our Pokemon GO theme page.